True: there may be a few things the “majority” gets right. But when it comes to mortgage marketing, if you’re going to stand out, you’re going to have to do something unconventional. You’re going to have to do something unorthodox. You’re going to have to completely leave the box, kick it to the curb, and drive away. You’re going to have to stand out. That means trying something new when it comes to getting the leads your mortgage company deserves. If you find yourself in want of new leads, new clients, and new business, and you feel like you’ve tried everything else, this post is for you. Taking stock is important. Heck, most marketers don’t even bother coming up with a plan for their marketing. Forbes notes that even though 88% of B2B marketers, in this case, were using content marketing, only 32% had any sort of definable strategy. Less than half had an editorial mission. If you’re going to completely change the way you think about marketing, it starts with this simple mission: sitting down and figuring out what you have tried—and failed at—before. Sit down with an open word processor or even a pen and a pad. Seriously. And write down all of the marketing gags you attempted and regretted. Now right next to that, write down all of the marketing gimmicks you’ve tried that did send more leads and clients your way. On the previous list, circle the marketing efforts you’ve attempted that actually resulted in improving your business. Chances are, you’re disappointed in the results. If things are really bad, you might have circled only one or two items on the entire list. But that’s good. This is the first step on the journey to unconventional—but successful—marketing. So you’re not a natural at mortgage marketing. Big deal. Very few people are born with the innate skill of marketing. Think like a persuader. com notes how using Robert Cialdini’s book “Influence: The Psychology of Persuasion” can start you off on the path to using psychological techniques like the “foot-in-door” technique. To think like a persuader, you have to stop viewing your customers as robotic drones who will automatically sell themselves on your product simply by showing up at your web site and start thinking of them as living, breathing humans with psychological to consider. Start making your brand consistent. Take stock of your online presence. What does your website communicate? Is it consistent with the message of your office itself? With your offline marketing? Are you simply throwing crap at the wall and hoping something will stick, or is it time to take a more methodical and systematic approach to marketing? …and that’s not even the full list. Seriously, I’m restraining myself from writing more. Now compare that to the list you’ve already generated. Might it be that there are both conventional and unconventional tactics you haven’t tried? Good. The first step is recognizing the problem. That’s half the battle. The final step is fixing it. You came here to learn about unconventional marketing. But to paraphrase Einstein, nothing happens until something gets in motion. In this particular case, that’s on you. Take a look at the less-conventional marketing ideas you saw above, and select just one for now that you can attempt as soon as possible. But don’t try it just yet. First, think about your message. What is your Unique Selling Point, or USP? The LED Light Bulb was able to highlight its superior to the incandescent light bulb by having a commercial “funeral” for Edison’s invention. This unconventional approach to advertising highlighted why their product was superior. Second, look at what your competitors are doing. Check out SEO Book’s free competitor research tools to see where your competitors are. But don’t stop there. Look at where your competitors have missed opportunities. What selling point are they missing? What segment of the market have they failed to target? You’re going to be the one moving in unconventionally. Third, create a new twist on an old idea. Billboard advertising is old and tired, right? Tell that to DLKW Lowe advertising, who created buzz with miniature billboards for “LEGOLand Hotels.” Billboards are conventional; tiny billboards are not. One simple twist can get you far more attention than you ever thought possible. Whether you decide to try video marketing, flyers, or anything else you previously considered unconventional, remember that it’s those three steps that will take your mortgage marketing to the next level. Google Alerts: Set an alert for a particular trend so you can be one of the first to write a blog post or release an advertisement spoofing that trend. Google Trends is also a must-visit. Canva: Handle your own graphic design in a minute or create your own Infographics. Consult Zapier: Zapier’s take on unconventional marketing will have you rethinking the way you reach out to people on the Internet. Less of a tool, more of a resource—equally valuable. 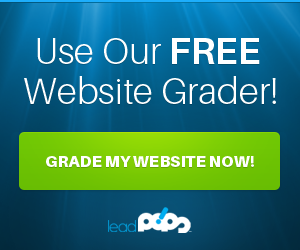 A 30-day free trial of leadPops. 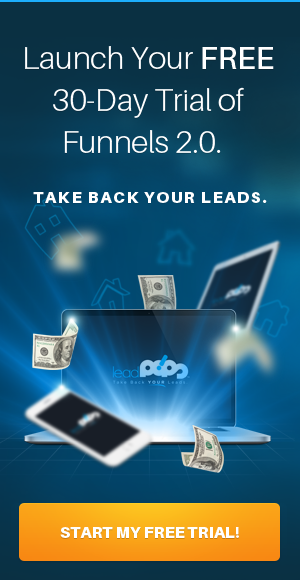 Call me biased, but leadPops is one of the most powerful tools you can have in mortgage marketing—and we’ll help you master every aspect of your marketing efforts, conventional or otherwise. What’s next? 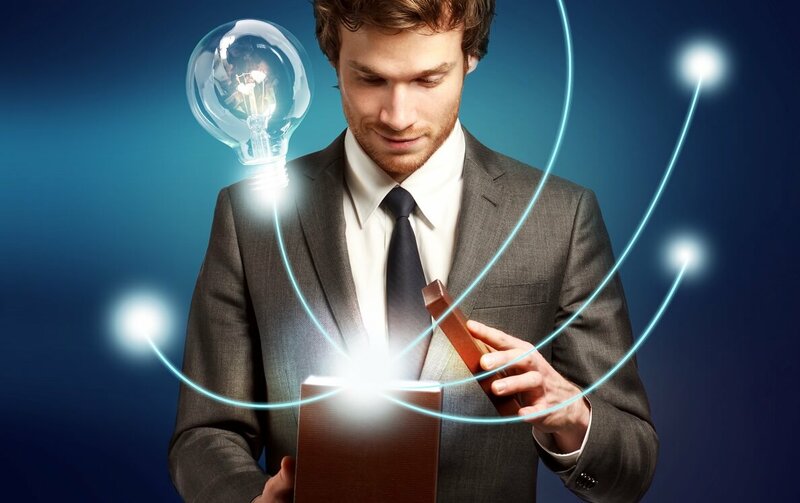 It’s time for you to get to work in changing the way you handle mortgage marketing. Look at the original list of your marketing methods and see if it doesn’t look different after reading this post. Then try a 30-day free trial of leadPops, and never look back.